Heat oven to 375°F. 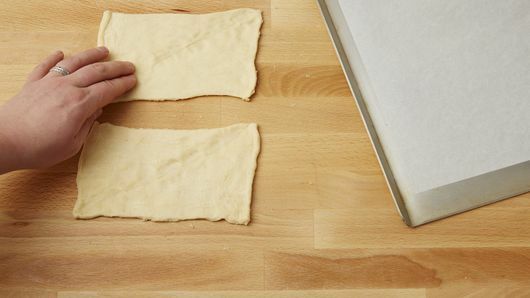 Separate dough into 4 rectangles on ungreased cookie sheet. Press each into 6x4-inch rectangle, firmly pressing perforations to seal. 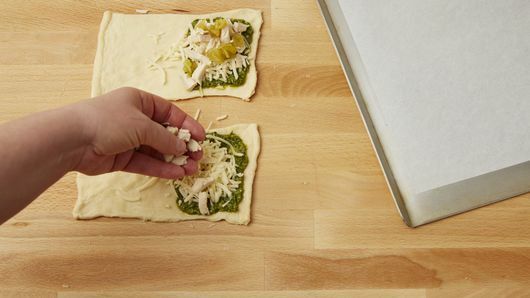 Spread 1 tablespoon pesto on half of each rectangle to within 1 inch of edge. 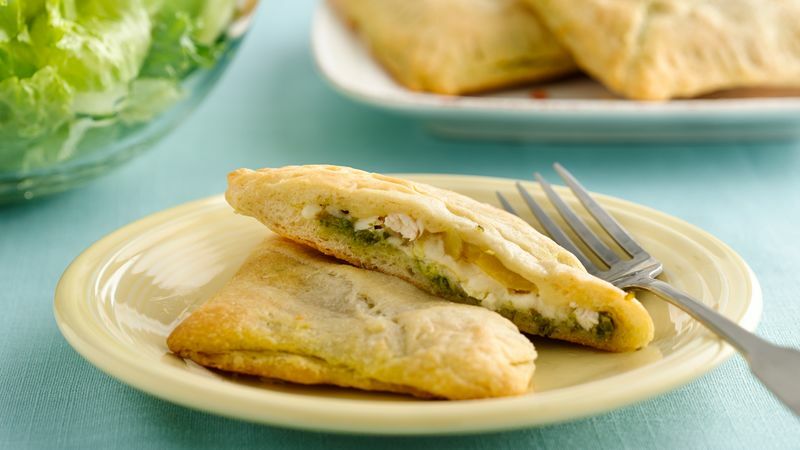 Sprinkle each with 2 tablespoons cheese; top with chicken and chiles. 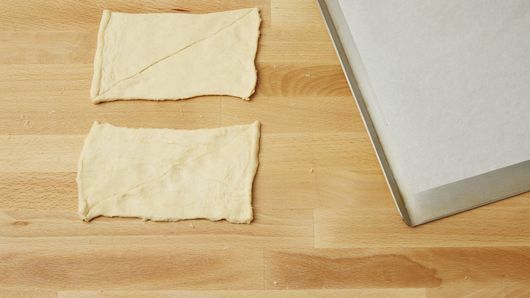 Fold dough in half over filling; firmly press edges with fork to seal. With fork, prick top of each to allow steam to escape. Bake 13 to 15 minutes or until deep golden brown. Cool 5 minutes before serving. Use shredded or chopped cooked chicken breast or leftover chicken you have on hand in place of the rotisserie chicken.